We did our last Top Trade Review in March, so it's a good time to do one of those and, as our Members well know, the vast majority of those trades turn positive so, when they're not, it's usually just a matter of time. As of the March review, we had looked at Top Trades that were initiated through July and, out of 32 trade ideas in 30 weeks, we had 24 winners and 8 losers but 2 of the winners turned around by Sept and that left is with 26 wins and 6 losses for a very solid 86.67% winning percentatge. As you can see from the chart, we made just under $2,500 shorting Gasoline (/RB) futures into yesterday's run-up after inventories. We also picked up $1,560 on our oil shorts so all is very, very well this morning despite a slow week trading futures (it's generally been too crazy to risk). Things are still risky but we had a net build in EIA inventories yesterday so the Fundamentals were bearish and oil spiked up on Syria fears but Syria themselves are not big suppliers of oil and the real news is OPEC, for the 5th time this year, being forced to admit the rest of the World is simply filling the gap of their production cuts (now 1.8Mb/d) with overall Global Supply UP 180,000 barrels a day led by the US adding 1.5Mb/d – mainly from shale production. Wow, that was a crazy reverse on /CL. I'm back short at $67.45 with a stop over $67.50 – I dare them! /RB too at $2.075 – ridiculous! As you can see, $67.45 turned out to be the dead to – perhaps BECAUSE we called it but we'll take the win either way and we'll certainly take the $1,560 profit! This morning we stopped out back over $66.50 but we're happy to go back short on /CL below that line with tight stops above. The Dollar is back over $89.50 and, as long as we hold that line – I'll be liking the oil short but we should be thrilled to take $500/contract gains at $66 as it's still almost the weekend – which is a very dangerous time to be shorting oil. If you are Futures-challenged and want to make a longer-term play against oil prices, the Ultra-Short ETF (SCO) is down at $18.78 and we can play to get out before the May Holiday weekend with the May (18th) $18 ($1.70)/$20 (0.85) bull call spread at 0.85 on the $2 spread so upside potential of $1.15 (135%) but I'd be thrilled to take a quick 0.40 (47%) off the table, as that's a very nice short-term gain. 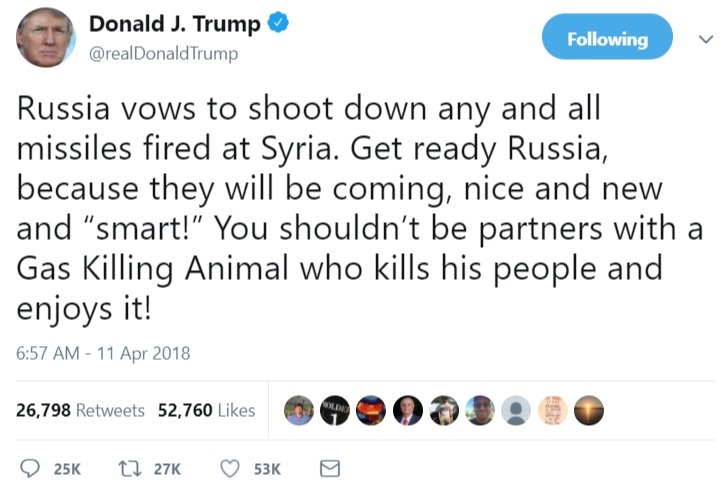 In a tweet that was so bad at 7am that they have already pulled it by 8, Trump pushes the Nuclear Clock to 11:59:59.9 by threatening Syria and Russia with missile strikes. Remember when Trump said you shouldn't tell your enemies your plans in advance? Too bad he didn't stick to that. The tweet may be gone but the damage is done and the Futures have already given back half of yesterday's silly gains and it's going to be a busy data day with Fed Minutes at 2pm (which was going to bring down the markets anyway) but CPI is coming right up and Atlanta Fed is at 10, EIA at 10:30, a 10-year note auction at 1pm (we're borrowing $21Bn this week) and Bed Bath and Beyond earnings after the close, which I think will be very telling. Of course, Trump can't stay mad at his Putie for too long and his last tweet (so far) has offered to reconcile by offering to "help with their (Russia's) economy" and "stop the arms race" Trump just started by cliaming to have "nice, new and smart" missiles. As noted by Bloomberg, A strike that hits Russian assets in Syria — even if unintentionally — could result in a dangerous game of one-upmanship, potentially dragging the U.S. further into a conflict the president wants to leave. Oil prices rose after Trump’s remarks, while U.S. stock futures fell and the Russian ruble slumped to the lowest level in 16 months. Russia has already strengthened Syria’s air-defense capabilities, deploying S-400 missile batteries after U.S. strikes a year ago hit a Syrian base. 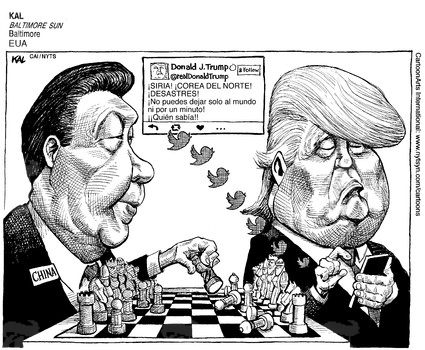 Trade Won Tuesday – China Gives Up, Trump Wins – America is Great! Now China's Xi gave a speech last night promising foreign companies greater access to China’s financial and manufacturing sectors, pledging Beijing’s commitment to further economic liberalization. In a speech that officials had billed as a major address, Mr. Xi said Tuesday that plans are under way to accelerate access to the insurance sector, expand the permitted business scope for foreign financial institutions and reduce tariffs on imported automobiles and ownership limits for foreign car companies. “In a world aspiring for peace and development, the Cold War and zero-sum mentality look even more out of place.” Mr. Xi told the Boao Forum, a government-backed gathering of business and political leaders on the tropical island of Hainan. “Putting oneself on a pedestal or trying to immunize oneself from adverse developments will get nowhere,” he said. Many of the initiatives Mr. Xi offered up have been previously proposed. That, along with the lack of definite schedules for action, drew some skeptical reviews from foreign business executives and Chinese researchers alike. “We have every intention to translate the measures into reality sooner rather than later,” Mr. Xi said, though he didn’t provide a clearer timetable for those or the other measures announced. http://welcome.philstockworld.com/wp-content/uploads/2015/09/PSW-Adooma-logo.png 0 0 Phil http://welcome.philstockworld.com/wp-content/uploads/2015/09/PSW-Adooma-logo.png Phil2018-04-10 12:12:072018-04-10 12:12:07Trade Won Tuesday – China Gives Up, Trump Wins – America is Great! Don't get fooled by a bounce. Team Trump softened their tone over the weekend, leading Asian stocks to move back up and Europe opened up over half a percent and our Futures are up half a percent but now Trump has undone the weekend's diplomacy with this morning's tweet calling China "STUPID TRADE" that has been "going on for years." 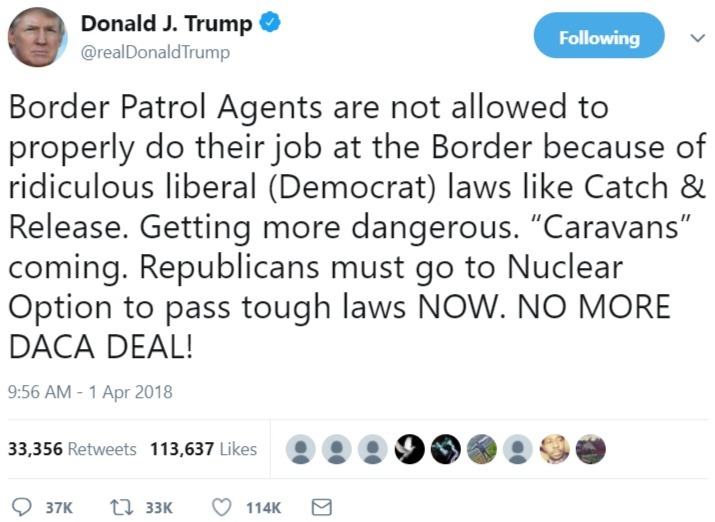 Hey, maybe it is a brilliant negotiating strategy where the President ACTS like an out-of-control lunatic so the Chinese will submit to "reasonable" requests from his underlings. 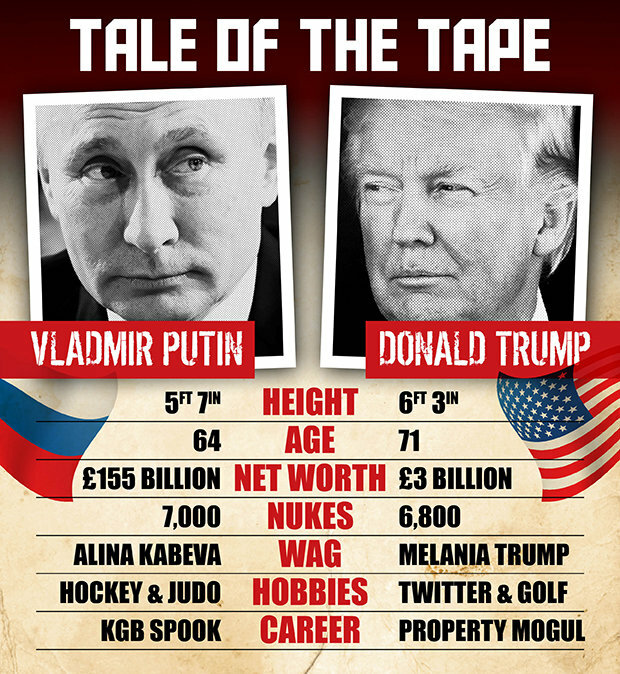 Or maybe he's just insane or maybe he's a Russian agent working to undermine 50 years of relationship-building between the US and China? Things are just getting nuts now. Trump declares unilateral trade war on China, China retaliates, White House says "just kidding" and then Trump says "not kidding" and TRIPLES the tariffs by adding $100Bn more and then he literally tosses out his prepared speech as it would be "too boring" and then began ranting about immigrants, claiming they illegally voted against him and that women are being raped by them "at levels that nobody has ever seen before – THEY don't want to mention that." 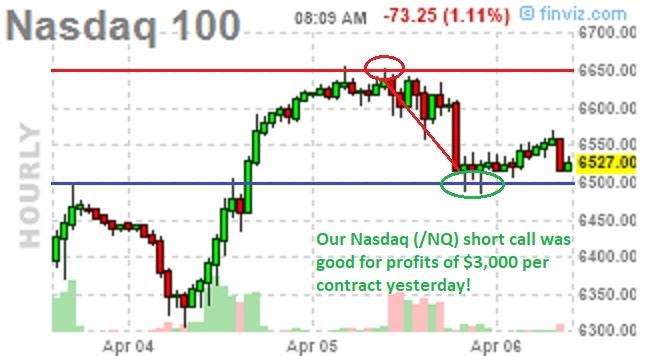 Watch out for any of the levels that are now Green (or black) to turn red – that's a good sign to short the indexes. 6,650 on /NQ is a good line and it's lined up with 24,350, 2,660 and 1,540. That was our only official play of the day but it was good for profits of $3,000 per contract so, no need for more, right? 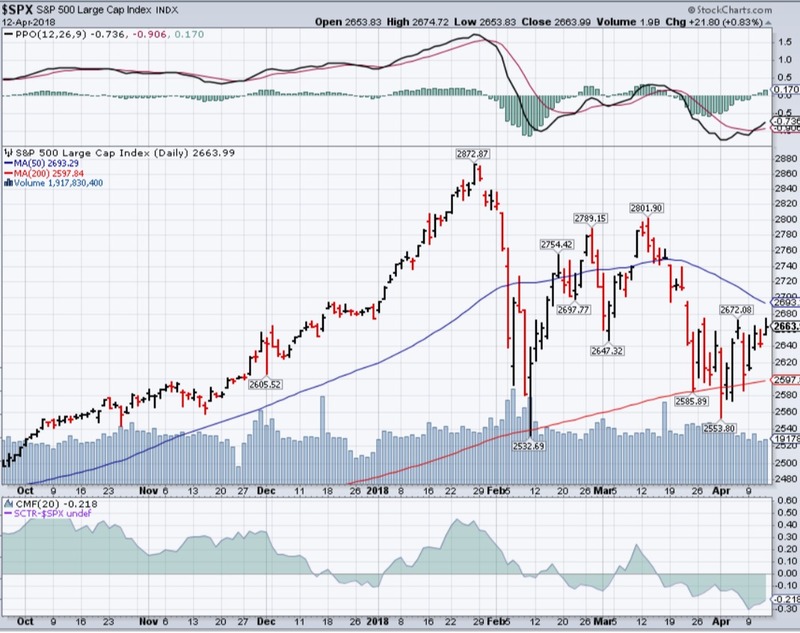 We knew 6,650 was going to be resistance (between our weak and strong bounces) and, of course, we also knew Trump was going to continue to attack Amazon (AMZN) and that casts a shadow on the whole tech sector because – if the President of the US can harrass one tech company – what's to stop him from going after others and, with that precident set – what's to stop every World Leader from going after their political business enemies like Trump does? America used to lead by example and God help us all if the rest of the World begins to follow our current example! Retaliation Wednesday – The Empire Strikes Back! China hit back last night with $50Bn in tariffs against US exports like cars, chemicals and soy beans along with 106 categories of American goods that are exported into China and, more specifically, goods that are exported from Republican-dominated states, where lawmakers might be expected to have some influence with President Trump, presumably to get him to back down from the latest trade demands. "China has never succumed to external pressure – external pressure will only make the Chinese people more focused on economic development. China's attitude is clear, we don't want a trade war because a trade war would hurt the interests of both countries. As the Chinese saying goes, it is only polite to reciprocate." – Trade Minister Zhu. “Only polite to reciprocate” is unusually dark and direct. Unlike the U.S. president, who salts his speech with off-the-cuff remarks about foreign policy, Chinese officials don’t usually digress with clever comments. Trump has undone years of hard-fought civility in discourse that was meant to avoid exactly the kind of economic catastrophe he is now causing. http://welcome.philstockworld.com/wp-content/uploads/2015/09/PSW-Adooma-logo.png 0 0 Phil http://welcome.philstockworld.com/wp-content/uploads/2015/09/PSW-Adooma-logo.png Phil2018-04-04 12:36:572018-04-04 12:36:57Retaliation Wednesday – The Empire Strikes Back! The WHR short puts are still $12.50 but the $1.70 spread hit $3 for a gain of $1.30 x 5,000 units for $6,500 (185%) gained in 2 trading days – you're welcome! Remember, I can only tell you what is likely to happen and how to make money trading it – the rest is up to you. In our Live Member Chat Room we already cashed in the long calls ($4.50) and left the short calls which are covered by another hedge we already had. 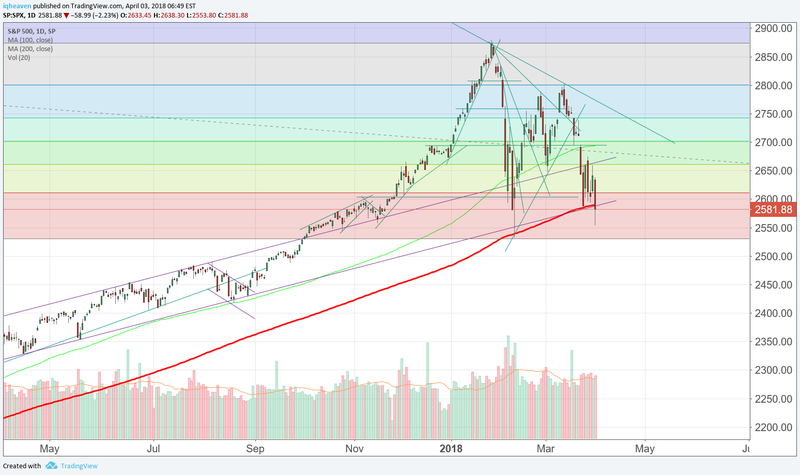 That pulled $22,500 off the table – more than the maximum we expected to make on the trade but now we have to deal with the short calls so we're hoping for a bounce in the Nasdaq as we test the 200-day moving averages. Well, we survived the Space Debris at least. Unfortunatley for 800,000 children who live in America, they are not surviving President Trump, who is calling for "Caravans" to come and take them away, without the due process or constitutional rights afforded to the other children in their classrooms. John Oliver handled the sickness of this mess very well over the weekend so you'll either care about this or you won't but, even if you do - what can you do to stop this man?